In today’s information-rich environment, companies can no longer afford to rely entirely on their own ideas to advance their business, nor can they restrict their innovations to a single path to market. As a result, says Harvard Business School professor Henry W. Chesbrough, the traditional model for innovation - which has been largely internally focused, closed off from outside ideas and technologies - is becoming obsolete. Emerging in its place is a new paradigm, ‘open innovation’, which strategically leverages internal and external sources of ideas and takes them to market through multiple paths. This path-breaking analysis is based on extensive field research, academic study, and the author’s own longtime experience working in Silicon Valley.Through rich descriptions of the innovation processes of Xerox, IBM, Lucent, Intel, Merck, and Millennium, and the many spin-offs that have emerged from these firms, “Open Innovation” shows how companies can use their business model to identify a more enlightened role for R&D in a world of abundant information, better manage and access intellectual property, advance their current business, and grow their future business. Arguing that companies in all industries must transform the way they commercialize knowledge, Chesbrough convincingly shows how open innovation can unlock the latent economic value in a company’s ideas and technologies. Author Bio: Henry W. Chesbrough is an Assistant Professor and the Class of 1961 Fellow at Harvard Business School. Henry Chesbrough is an Assistant Professor of Technology and Operations Management at Harvard Business School. Free innovation is already widespread in national economies and is steadily increasing in both scale and scope. Today, tens of millions of consumers are collectively spending tens of billions of dollars annually on innovation development. However, because free innovations are developed during consumers’ unpaid, discretionary time and are given away rather than sold, their collective impact and value have until very recently been hidden from view. 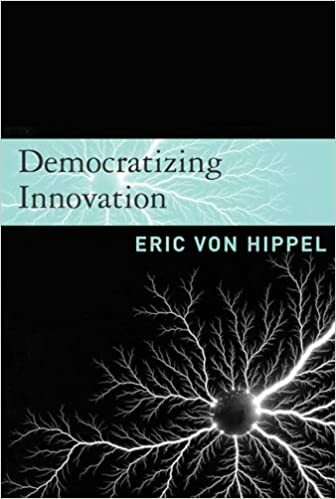 This has caused researchers, governments, and firms to focus too much on the Schumpeterian idea of innovation as a producer-dominated activity.